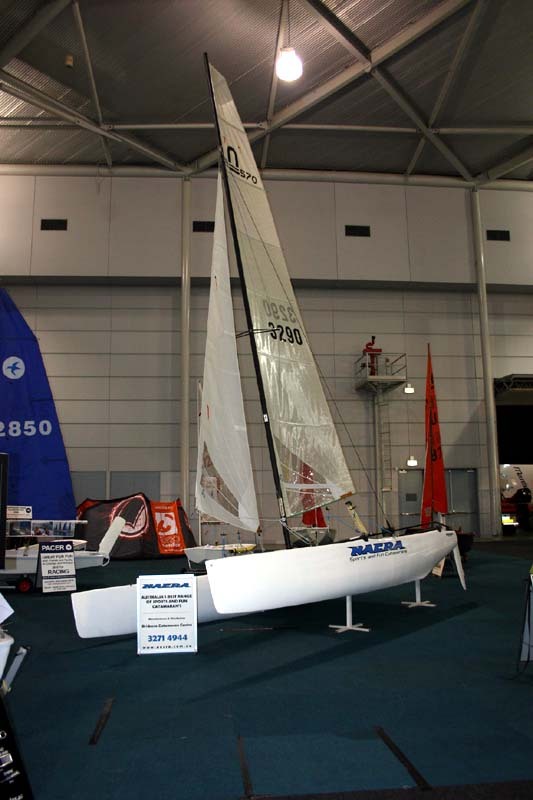 The Nacra 570 was displayed at the recent Brisbane Boat show. Here is the new boat featuring a mylar mainsail. Allot of interest was had in the new boat. It features one of the largest trampoline areas of any boat on the market,with its jib blocks mounted of the front beam as well, it makes for a very uncluttered trampoline area. With the growth in the recreational market the 570 looks to be a big hit in the Australian market.